I can’t help but feel that this year is going by so instantly, It’s been super busy around here lately what with Yve’s turning four, and also planning & having her wonderful ‘Rainbow party’. I just wanted to make sure she had a wonderful weekend filled with happiness, family & love.When you have a lot going on it does take it out of you, thats being an adult – so for our little people, it does take some time for them to adjust. It was also half term from pre-school so that was another change then re-adapting back to the pre-school routine again the following week! we’re also trying to de-clutter & simplify things at home especially the childrens toys – a slow process I may add. Their Daddy has been so busy at work too, working extra shifts the past few weekends and also started a management course this month. free time/adult time seems far and few in between, I’m also feeling like I have so much to do all the time (this may also have an added factor of my silly ‘to-do’ lists I give myself), trying to progress my little part of the blogging world, plus boost/promote my photography business start up – again, a very slow process at the minute but its to be expected with my three little ones keeping me on my toes! Last week we attended a ‘cheese and wine’ parents evening, and was actually a mini date night for us too, a rarity these days, something we want to try and do monthly! It’s just really got me thinking lately how time is whizzing by, we just attended a parents evening for our four year old, FOUR. I feel so fortunate that I get to spend these magical years with my three amazing children, they drive me bonkers, infuriate me at times, but most of all they fill me with the biggest amount of joy & love. The past few years have been completely magical. I’ve been through three pregnancies, raised three children, experienced some horrific ordeals in my family, overcome them, grew stronger & enjoying life everyday – and it’s all because of them. I was thinking back the other day to when we were expecting our Yve’s, how relaxed her pregnancy was, how simple it was, blissful in fact. I worked extra hours so I could take early maternity leave at 30weeks, I spent the next 10 weeks just taking it all in, chilling out, getting the most amount of naps I think I ever will get in my life! Thats obviously a rarity these days, to have a regular nap! Then I was thinking about how fun, and different it was when she was born, I attended breastfeeding groups, baby cafes, playgroups about 4-5 times a week, play dates with our friends, we walked a lot! Then when she was 10 months old I fell pregnant with our second little bundle, another pregnancy that was amazing, then things got intense, and a difficult journey had begun due to a very tragic event in our family. Fast forward a few months to when Halle was born and we were still attending playgroups, when she was just two days old in fact, but it was a slightly different experience as for me it wasn’t only a fun thing for us to do, it was a distraction from a void in my heart, it was something for us to do for the three of us to make us happy, the particular situation is something I still find quite difficult to talk about, and even harder to put into words, but it’s something that as a family – we have grown stronger together with. It’s just something I find amazing at how when you have another baby, or any given life change – it can alter your whole routine, and your life. I feel saddened about the times I’ve wasted worrying, raising my voice when stressed or just felt down about something. You don’t get any of this time back, so just embrace and enjoy it all.Fast forward a couple of years to where we are today and I look at our three beautiful little children, and can’t believe what we have achieved as a unit. Enjoying our everyday life, overcoming the tough days (boy have there been a load of those), and embracing anything life throws at us. Change is a funny thing, some people can’t wait for their children to reach milestones, get to a certain age – I just want time to slow down. I look at Phoenix growing, changing every day it seems, and it takes me back to gazing at my girls when they were that small, little babies with chubby cheeks, chunky thighs and big massive eyes and long lashes staring at me. Especially Yve’s, Phoenix is her double, how is it possible that she is now four years old and i’ve filled out a primary school application for next year? 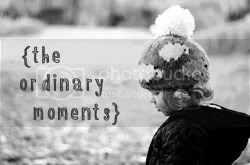 Our ordinary everyday antics and routines are ones I love most, some of the mundane days with nothing to do but tackling washing piles, the girls having little squabbles over the same toys, baby boy clinging to my hip for extra snuggles and just to know i’m not going anywhere – in the moment, it does sometimes feel relentless and without a doubt tiring. but you know what, I love it all. I never want to forget the feeling I feel right now, to know each day is a new adventure with these three, learning new things with them, watching them learn, grow, forming beautiful sibling bonds, the manic rush every morning to get four of us ready and out the door – usually late, the effort with car seats (and some times battles! ), wonderful impromptu adventures to the beach with no plans of where to stay that night, the funny little things they say, our little family jokes and sweet whispers, the constant inquisitive questions and comments from the girls, our hilarious and sometimes meaningful conversations, the picnics at the park to simply burn off steam, bedtime snuggles, sometimes bedtime battles, delightful dinners out, then some dinner battles, the way they wait for Daddy’s arrival home from work every day, the moment when Daddy & I finally sit down each evening and look at each other with a sense of happiness and relief! The list could go on and on and I could talk forever about the way our lives have changed the past few years. It’s just amazing at how each child brings a whole different level to parenting with a completely different perspective, & it changes your world in more ways than one. This parenting lark is completely crazy, wonderful, bonkers and fantastically lovely all bundled into one. I wouldn’t have it any other way. I just wish that I will remember it all, document as much as our ordinary life as possible, as one day I would love nothing more than all of our family to sit back and watch it all over again & again. Being attacked by this boy. Oh I'm with you on the speediness of this last year – I can't believe it's November already -or how big my baby boy is getting before my very eyes! But they're all lovely moments, even as they gallop past, and your pictures are gorgeous!